Collaborating with TEDxBeijing, invited 12 celebrities (Lv Yongzhong、Fu Junmin、Hua Yong、He Wuxian、MASATAKA HOSOO、Hans Martin Galiker、Sun Bo、Shuhei Aoyama、Ye Changan、Ole Bauman) from all walks of life as the main speakers of this forum constituting it a professional, academic communication. In the first half of the forum, designers will show the present circumstances of their understanding as well as thinking，therefor the designers will start from the current global traditions, exploring design method，gathering energy，facing the problem that the actual environment has brought, at the same time, how extraordinary that design effect our life. In the second half of the forum, designers together with the design managers will present how design changes everyone’s lifestyle. Let design deepen into the concept of life, breathing with the speakers, breathing with design, breathing with the forum. 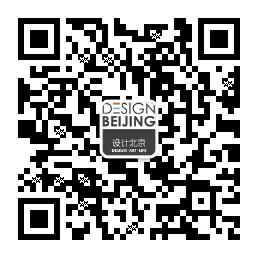 As the special partner with Design Beijing,MINI has been disrupting conventional design wisdom from day one. 1959’s Suez Crisis led to fuel rationing in Britain. The British Motor Company commissioned Sir Alec Issigonis to design a small car which had to “use all available space creatively, hold 4 passengers, with perfect handling and high fuel efficiency.” The father of Mini arrived at a solution that redefined car design, and the first Mini was born. Since then, design has been firmly ingrained into our DNA. With the history of 12 years experience, the Executive Committee of Art Beijing and Design Beijing are focusing on the inseparable relationship between the developments of Art and Design and the developing potential of Real Estate, the function of Art and Design shows a great aptitude of renewing the city civilization, upgrading the commerce as well as broadening the tourism. In the new term of Art Beijing and Design Beijing, we intend to organize a forum based on the topic of‘Art, Design and Real Estate’concentrating on deepening the communication between various industries, with all the relevant friends who were invited. Deepening the brand new Design Beijing, under the theme of ‘Breathing Design ’, <Art Trade Journal> intervene ‘Studying Objects Leads to Truth’ into the forum, exploring the forefront development of design products, communicating with the future global design industry. <Art Trade Journal> participates into a deeper, comprehensive, wide-angled report on what is design? What we are talking about when we talking about design? How design influence humans emotion? Design changes life, or life changes design? How does design looks like in the future under the technological change society？With solving all the doubts, the forum not only thinking about how the design can be used for reference, but also to explore the traditional oriental culture deep inside as well as wondering how art, design innovate new pattern of cross-border.